Recently refurbished three bedroom terraced home situated in the popular location of Maidenwell Road Plympton. The property has undergone an extensive programme of renovation and can be found in immaculate condition throughout. 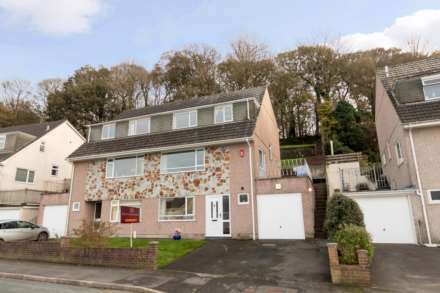 The spacious living accommodation comprises, lounge, dining room, modern fitted kitchen, utility area, downstairs w.c, useful rear porch, three bedrooms and modern fitted shower room. The property also benefits from a generous enclosed rear courtyard garden, double glazing, gas central heating and no onward chain. An internal viewing is essential to appreciate the quality of this well priced home. Frosted double glazed door to entrance hall. Newly fitted carpet. Radiator. Wall mounted heating controller. Stairs rising to first floor with under stair storage. Doors to. Newly fitted carpet. Radiator. Double glazed window to rear aspect. Ceiling mounted light point. Great space for storage or taking off muddy wellies and coats. Tiled flooring. Doublke glazed window and door to rear aspect. Newly fitted carpet. Radiator. Double glazed window to front aspect. Ceiling mounted light point. Wood effect flooring. Enclosed shower cubicle with mains shower and oversize shower head. Hand wash basin with vanity unit under and mixer tap. Low flush w.c. Inset spotlights. Generous enclosed rear courtyard mainly laid to gravel with storage shed and paved pathway leading to gated rear access.